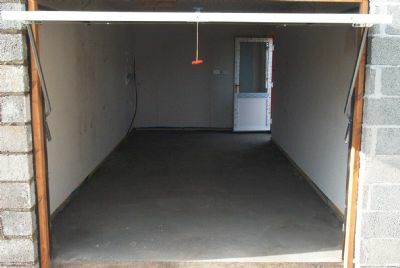 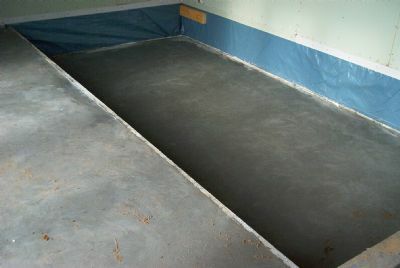 In our absence the floors are completed in the pool room . . .
. . . and the garage.